1. Choose a political or social issue that matters to you. 2. Educate readers about your topic by telling us a little about it and any involvement you’ve had in this issue. 3. Find books addressing your issue; they do not necessarily have to be books you’ve read. They can be non fiction, fiction, poetry, etc…Give a little synopsis of the book or a link to the description. 4. Use images which you feel illustrate your topic. My introduction to environmental politics came not from belief but from entertainment. When I was a teenager in the early 1980’s one of the biggest environmental issues of the time was a proposal by the Tasmanian Government to dam a particularly beautiful river in one of the world’s most stunning wilderness areas. Opposition to the Gordon-below-Franklin Project was widespread within my country and, as happens today, many writers, artists and musicians became involved in the campaign to prevent the dam being built. Shane Howard, at the time one of my favourite artists, penned a song that became something of an anthem for what was, ultimately, one of the most successful environmental campaigns in Australia’s history. I have maintained my interest in environmental issues ever since and am still active in local campaigns. I have, naturally enough given my passion for the environment and my passion for reading, read many, many books about the environment and how we humans are impacting it. The one thing that the vast majority of these books have in common is that they are completely, totally and utterly pointless if their intent is to reach new audiences. Their problem is that they are, for the most part, full of such horrible, frightening facts they should (and often do) make sane people weep but leave readers with two options: become clinically insane at the depressing nature of their content and its portent for the future of the human race or forget you ever read it and go on with your life as you were. For the most part these books do not, as I’m sure they would like to, make life long converts to the cause. I’ve given several copies of Tim Flannery’s excellent (but frightening) The Weather Makers to friends and family and I know for a fact that it hasn’t changed one of these recipients’ day-to-day behaviour. Everyone who has read it has a couple of awful statistics or predictions that they remember and then they go about their lives hoping fervently that Flannery is wrong. And I won’t even contemplate what reading James Lovelock’s The Ages of GAIA might have done to an otherwise well-adjusted human psyche. you’ll also see an underlying environmental message that just might make you think about ways of changing your behaviour rather than slashing your wrists (which is the only sensible action to take after reading James Lovelock). 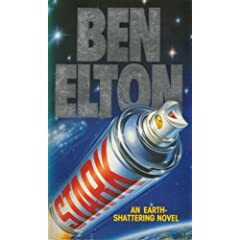 In his second book, Gridlock, Elton tackles a different environmental subject, the lunacy of the private car as a mode of transport, and also offers one of the most powerful comments on the treatment of disabled people in modern society but he does all this while making readers laugh rather than preaching at them. 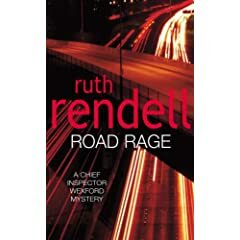 And, if you’re of my ‘crime-fiction only’ readers try Ruth Rendell’s Road Rage which, as well as offering a compelling mystery, happens to have some pretty powerful messages about the environment and the people who campaign on its behalf. This entry was posted in Ben Elton, memes and challenges, mini review, Ruth Rendell. Bookmark the permalink. I loved this extra insight into what makes you “tick” Bernadette. And I agree that fiction can easily make us think about social issues, giving us a new perspective on something we are already familiar with, or maybe making us aware of an issue we’ve not yet given thought to. Well done. I love coming across a post filled with “never thought of that before” and “never read that before.” And I appreciate your point about not recommending any of the best-selling green books. Some are so manufactured to suit a market rather than do justice to a cause.